Claro Cepeda of EMC Drywall hung insulation at a clinic being built in Devens. With opioid addiction continuing to claim thousands of lives and hospitals swamped with patients seeking help, wealthy investors from China to South America are making a financial bet that private substance abuse and mental health facilities may be their best pathway to a US visa. 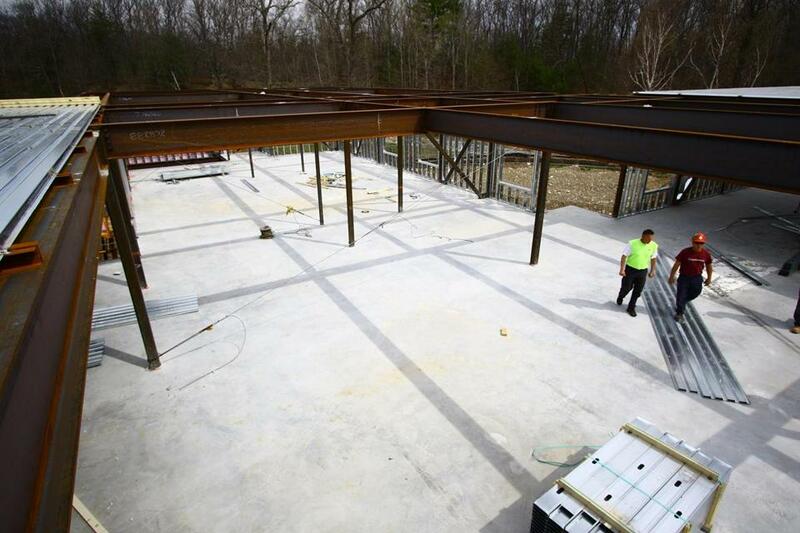 This clinic in Devens is being financed, in part, by foreign investors. In Devens, a 104-bed behavioral health and substance abuse center is being financed, in part, with $10 million from foreign investors through the EB-5 immigration program. Recovery Centers of America, a Pennsylvania company with plans to open eight inpatient facilities on the East Coast, including one in Danvers, is soliciting immigrant investors. And in Baltimore, an addiction clinic opened earlier this year with money from the EB-5 program. The $35 billion-a-year addiction treatment industry is gaining more attention from investors of all sizes, including private equity giants like Boston-based Bain Capital, which owns the largest chain of detox clinics in Massachusetts. Large investors are capitalizing on the increasing demand, changes in health care law, and opportunities to scoop up smaller facilities, reduce their costs, and sell them at a profit. American Addiction Centers, a Nashville addiction treatment company, went public in late 2014, raising $75 million. Its profits climbed from $871,000 in 2011 to $11.2 million last year, a more than twelve-fold increase. So it’s no surprise that individual investors are piling in, too, said Philip Levendusky, the director of psychology at McLean Hospital, an affiliate of Harvard Medical School. Condominiums and hotels remain the most common investments under the EB-5 program, which allows foreigners who invest at least $500,000 in a development that creates jobs to qualify for US visa. But the EB-5 project has been controversial, with critics arguing that it’s a way for wealthy foreigners to more quickly navigate the US immigration process. They also say it is vulnerable to fraud because of the lack of oversight. The Securities and Exchange Commission has brought civil fraud charges in the past three years against developers of projects in California, Washington, Illinois, and most recently, Vermont. Last month, regulators alleged that developers of the Vermont ski resort Jay Peak misused and “systematically looted” millions from investors, potentially putting their immigration applications at risk. Jay Peak owner Ariel Quiros has argued in court documents that he used the money appropriately and did not mislead investors. Still, recent statistics on mental health and drug abuse are making clinic ventures an easier sell to investors looking for a stable project that offers a likely path to US citizenship. Plus they meet a need in the community, said Jillian Fortuna O’Brien, the chief operating officer for EB-5 Jobs for Massachusetts, a regional center that helps developers recruit investors and guide them through the immigration process. The center is helping the Devens clinic line up its EB-5 financing. In the span of three weeks this spring, more than 20 people in Middlesex County died of drug overdoses. An estimated 1,526 Massachusetts residents died of opioid-related overdoses during 2015. Nationwide, 28,648 people died from overdoses of prescription pain medication and heroin in 2014. The shortage of treatment beds in Massachusetts is putting pressure on hospital emergency rooms statewide. Admissions related to issues of mental health and alcohol and substance abuse spiked by 24 percent between 2010 and 2014, even as overall visits for emergency care declined in Massachusetts, according to the state Health Policy Commission. Expansion of the federal health care law requiring health insurers to cover substance abuse and mental health treatment has also made these for-profit centers more financially attractive. For developers and clinic administrators, the appeal of EB-5 money is simple: Foreign investors are looking for smaller returns — usually charging half the interest rate of banks — and require less control than venture capital financing, since their main goal is to get a visa to stay in the United States. Recovery Centers of America declined to comment on how many immigrant investors are participating in its clinics. But the EB-5 program is part of company’s expansion plan, Brad Greenstein, chief executive of Recovery Centers of America at Danvers, said in a statement. 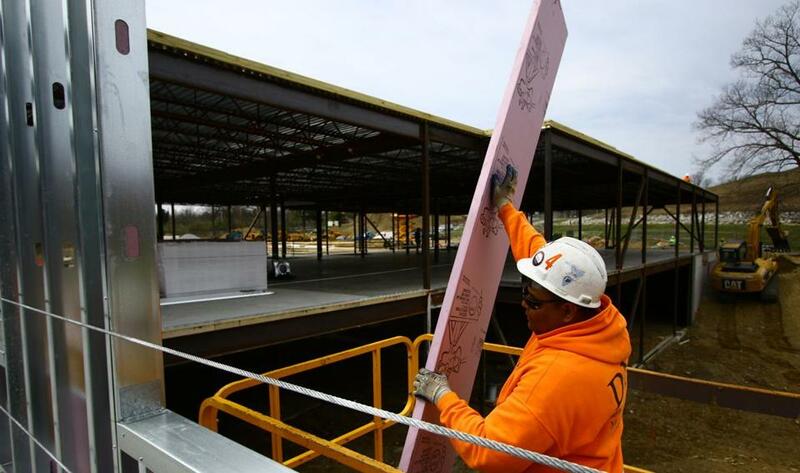 The 209-bed center in Danvers is scheduled to open in August. “We are regularly exploring a variety of financing and other capital-raising opportunities which can expand our business, increase our bed capacity, and help as many individuals and families affected by the disease of addiction,” Greenstein said. 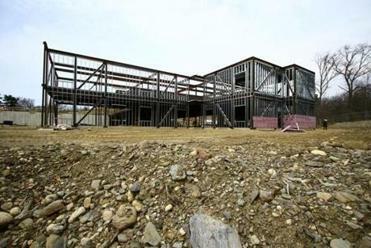 Michael Krupa, chief executive of Health Partners New England, which plans to open the Devens center, had never heard about the EB-5 program until his builder suggested it as a financing option. 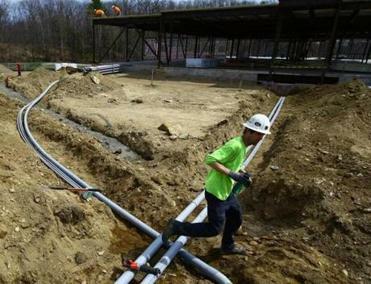 An electrical worker crossed a ditch with tubing at the Devens construction site. A clinical psychologist, he is far more familiar with how to treat suicidal patients than with the intricacies of immigration. But he said the flexibility that the financing offered was a plus. So he had his marketing documents translated into Chinese and met with prospective foreign investors last summer to make his pitch. Eight EB-5 investors have already put up $1 million each toward the $31 million Devens center. Many of the foreign investors are trying to ensure that their children can study in the United States and stay after college. Some want to transfer their wealth out of volatile countries with restrictive governments, said Ka-Yung Wong, a Boston attorney who has worked with EB-5 investors and has one client participating in the Devens project. One of his clients, the college-age daughter of a Chinese businesswoman, has invested $1 million in the clinic. Her mother gave her the money to increase the chances she will get a green card and remain in the country after she graduates. But Wong said the EB-5 program needs more regulatory oversight and that it can be difficult in large projects with hundreds of investors to track how the money is used. Still, whether this additional private investment in substance abuse and mental health facilities will mean better care for patients is uncertain, said Levendusky, at McLean Hospital. While there’s a clear need for additional beds and centers that can treat patients for several days before sending them back into the community, Levendusky worries that the need for financial returns will drive down the quality of care at for-profit facilities. Many of the private companies are entering the market expecting reimbursement rates to increase, lifting profits. The average in-patient reimbursement in Massachusetts is about $750 a day, while the cost of a week-long stay in a facility ranges between $5,000 and $7,000. If rates don’t increase, the facilities may be forced to cut back on care or raise prices, Levendusky said. “Unless there’s a basic paradigm shift in keeping the expenses lower or reimbursements higher . . . it doesn’t calculate in my head,” he said. Overseas investors financing the projects are using a provision of US immigration law to expedite the awarding of green cards.